Have you not met “the one” yet? 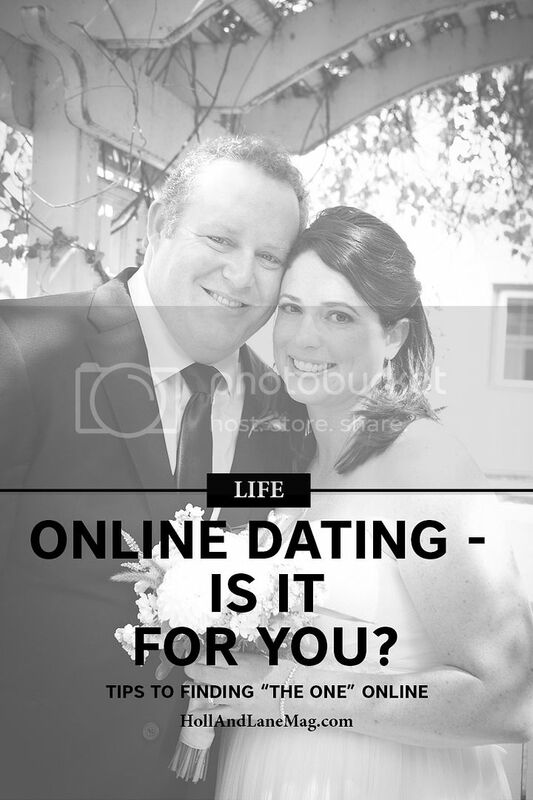 Have you considered online dating? I was skeptical at first too, and let’s be honest, there is still a stigma around online dating. But chances are you know at least one person who has either tried it or is in a relationship due to online dating, so maybe you should give it a try! Here are few lessons learned from my online dating journey. P.S. mine is a happy ending – I met my husband six years ago, and we have been married for three! When selecting a site, keep in mind what is important to you and the type of experience you would like to have. For me, I wanted to ensure that I was meeting people interested in a long term relationship instead of something more casual. I also wanted some of the work of making matches to be handled for me, rather than me searching through profiles to find “the one”. In the end, I exclusively used eHarmony. This site required a paid subscription, which to me was great, as I thought it would help to weed out those in search of a casual encounter (and for the most part this held true). Today, there are so many sites available that there is something for everyone. Do a little research, ask around, and even try a few to find the right fit. If anything, online dating really helps you to understand yourself better than anything. You are given the opportunity to explore what you like and what you don’t like, and know with certainty what will really make you happy. That said, be sure to portray yourself accurately in you profile. Misrepresenting yourself in photos or in the information you provide is a waste of everyone’s time and money, and also implies that you are not ready for a relationship. I was matched with one guy whose profile was perfect, the emails we exchanged were wonderful, and he was pretty cute too. He was great on paper, but when we met in person, he was painfully shy. It was hard to have a conversation with him. The chemistry I thought was there electronically, was not there in person. Online dating ensures there are always more matches waiting to be discovered, so don’t waste your time if the chemistry is not there. As time went on, I became more comfortable suggesting to meet sooner rather than later. Embrace the experience of meeting new people! Allow some wiggle room in your criteria to test the waters. In most cases, you will be pleasantly surprised if you go out with someone who has some or most of the qualities you are seeking, rather than limiting yourself to only those matches you think fit exactly. Be smart about sharing your contact information. If you are meeting someone for the first time, do not meet at either of your homes – select a neutral site in public, like a restaurant. Finally, I always told at least one person that I had a date and where I was going. I never had an issues around my safety, but have friends who have received unwanted communications with inappropriate content. Better safe than sorry.